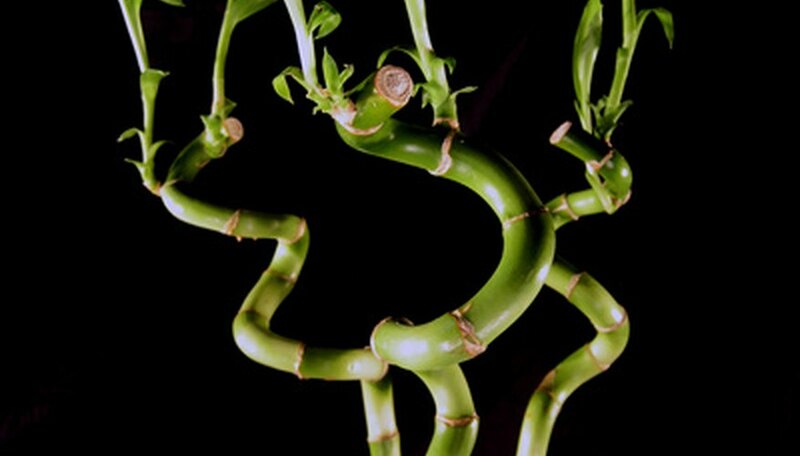 Bamboo plants are beautiful and can be formed into spiral designs. They grow in water and can be held upright with rocks. Bamboo is easy to take care of as it needs little indirect sunlight and weekly watering. However, just like any other living thing, it can become sick. Signs of a sick bamboo plant are yellow leaves, yellow stalks, algae growth, and curling leaves. On the bright side, you can care for your sick bamboo plant and completely revive it. Determine if your bamboo's sickness is caused by giving it too much fertilizer. 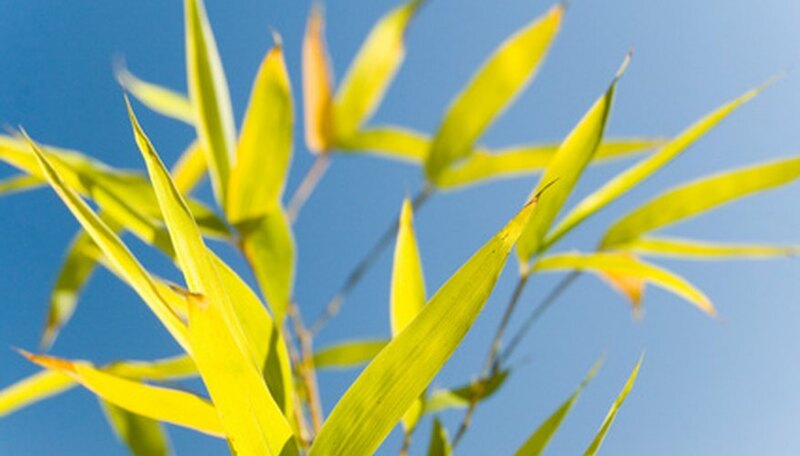 If you have recently fertilized your bamboo and the leaves are turning yellow, you will need to replace the water. Carefully remove the bamboo from the pot and place it on the counter. Scrub the inside of the pot with warm water, mild soap and a sponge. If you use rocks, clean them by filling your sink with warm water and mild soap. Rub the rocks together between the palms of your hands until clean. Rinse the rocks and the pot thoroughly. Use your water filter to filter your tap water. Return the bamboo to the pot with the clean rocks and filtered water. The leaves should begin turning green again. 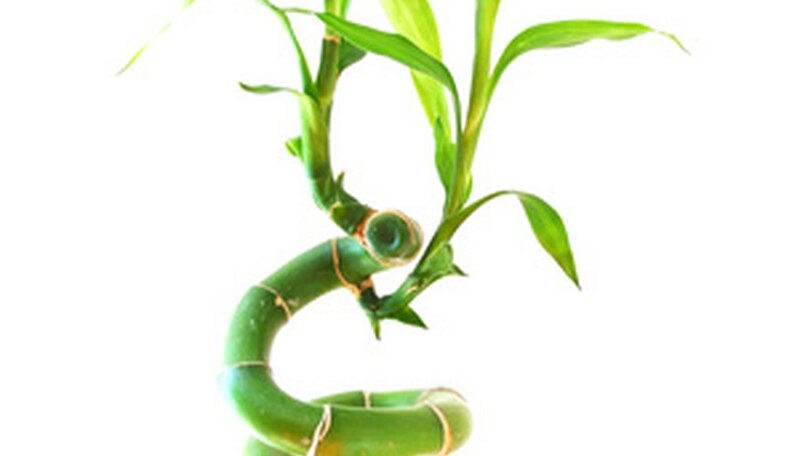 Check for bacteria, which can cause bamboo plants to become sick. Yellow stalks are a sign that there is bacteria making your bamboo sick. Bacteria live in moist environments, and since the bamboo lives in water it can be a perfect breeding ground. 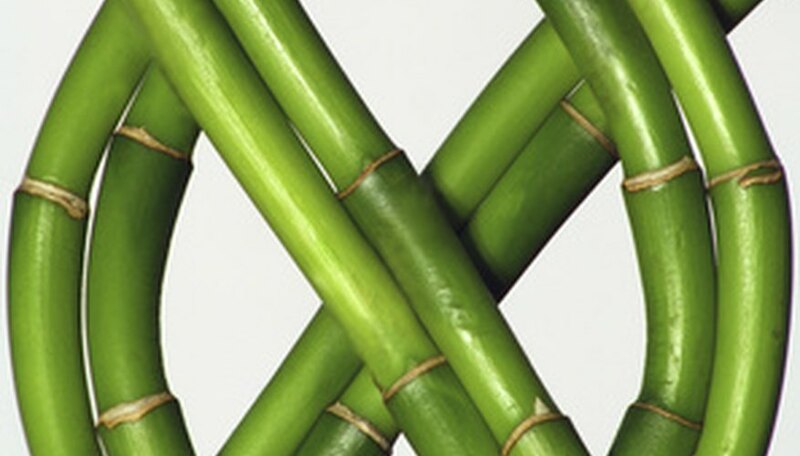 Get rid of bacteria on your bamboo plant just like you would in your home: clean it. Use a soft, damp cloth to clean the leaves and stalks of the bamboo. If this does not work, cut the stalk just above the yellowing and below the next elbow. Place the yellow stalk in a solution of 30 parts water and one part disinfectant. Leave in the solution for 30 minutes and then move it to a new pot with filtered water. Establish whether your bamboo is getting too much sun. A bamboo plant only needs indirect sunlight. 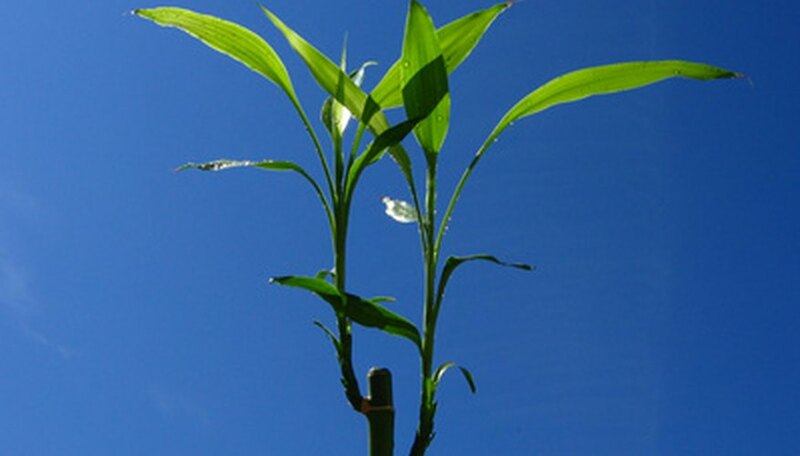 If it is in an area where the sun is shining on it the bamboo plant could become sick and the leaves will turn yellow. Put your bamboo in an area where only a little sunlight can get to it from a window. Once moved to a less sunnier place the leaves should begin to turn back to green. See if algae might be the cause of your sick bamboo plant. If the roots of the plant have some green growths on them and they are slimy, it is probably algae. Algae growth could be caused by not enough light, not enough water, or unclean water. The algae will make your bamboo smell like rotten eggs. Remove the plant from the pot and clean the roots by holding it under slow-running, warm tap water to get the algae off. Use your fingers to gently rub the algae off the roots. Clean the rocks and pot and return your bamboo to the clean water. Replace the water on a regular basis, preferably weekly. This is the best way to care for sick bamboo plants. Since they live in water it needs to be always clean. When replacing the water you will need to remove the plant from the pot. Take this opportunity to gently rinse the leaves, stems and roots under slow-running, warm tap water. Set the plant aside. Clean the pot and rocks. When done cleaning, put the rocks back in the pot around the bamboo stems and fill 3/4 with filtered water. 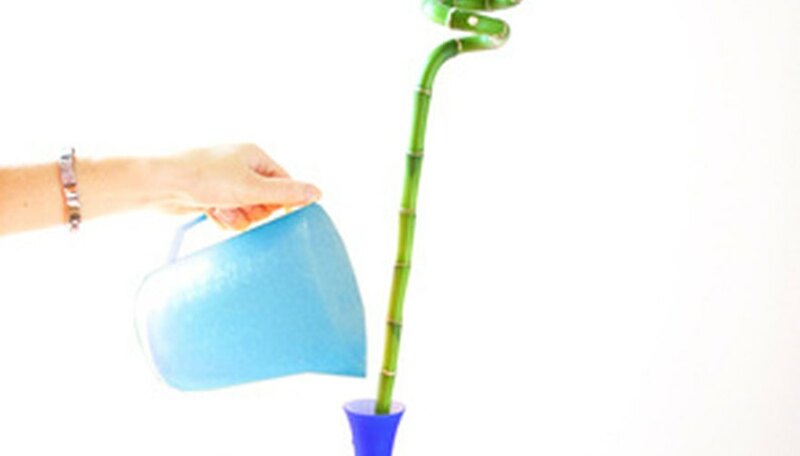 Make sure your bamboo plant has enough water. If you have to cut a bamboo stalk, cut just below an elbow. Avoid too much sunlight for your bamboo plant.